The PlayStation Portable (PSP) hand-held game console has a bright and colorful screen, but it is smaller than even the smallest high-definition LCD television. HDMI (high-definition multimedia interface) is a special type of connector that can transfer high-definition video and audio to display on an HD LCD television. Because the PSP does not have an HDMI connector, a special converter box must be used to connect the PSP to the HD LCD TV through HDMI. Connecting the PSP to the LCD TV through HDMI will let you watch and play PSP games on a large screen anywhere you go where there’s an LCD TV that has an HDMI connector. Place the PSP-to-HDMI converter next to the HD LCD television. Plug in the power cable to the PSP-to-HDMI converter and the other end into the wall socket. Plug one end of the HDMI connector cable into the HDMI output of the PSP-to-HDMI converter. Plug the other end of the HDMI connector cable into the first HDMI input on the HD LCD television. Turn on the HD LCD television. Select "Menu" from the TV remote and select the "Video Inputs" menu on the screen. Scroll down to the first HDMI input and select it. Press “Menu” on the remote to return to the TV’s main screen. Connect the "Video" input cable to the headphone input on the top rim of the PSP. Connect the other end of the Video input cable to the Video input on the PSP-to-HDMI converter. Turn on the PSP. Turn on the PSP-to-HDMI converter. Go to the "Settings" menu on the PSP and select the "Connected Display Settings" submenu. Select "Switch video input" and press the "X" key. Wait as the PSP's screen goes black and the PSP menu appears on the HD LCD television. Select the "TV Type" submenu on the PSP below "Connected Display Settings." Select "16:9" and press the "X" button. Select "Progressive" and press the "X" button. 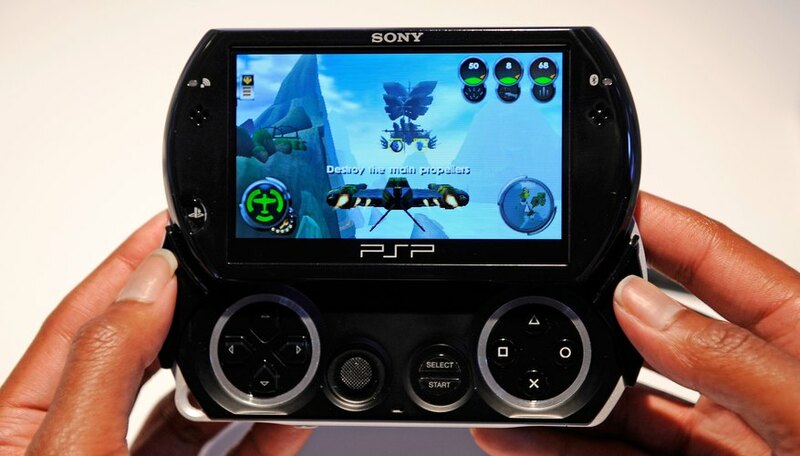 Navigate back to the main menu and enjoy playing games on the PSP that have been upscaled to high-definition 720p through the HDMI cable and displayed on the HD LCD television. Don't place the PSP-to-HDMI converter on carpeting as static electricity could damage the internal components during use. There is no video output in the first-generation PSP.